A pavé-set diamond, ruby and 18 karat yellow and white gold flexible snake bracelet, by the house of Masenza, Rome, c.1955. Mario Masenza (1913-1985) came from an illustrious family of Italian jewellers. The Masenza family opened their jewelry shop on the fashionable via del Corso in Rome in 1924. They included the Italian Royal Family among their clients. Mario Masenza inherited the business in the immediate post war years and sought to bring completely fresh ideas to the Italian jewellery market. 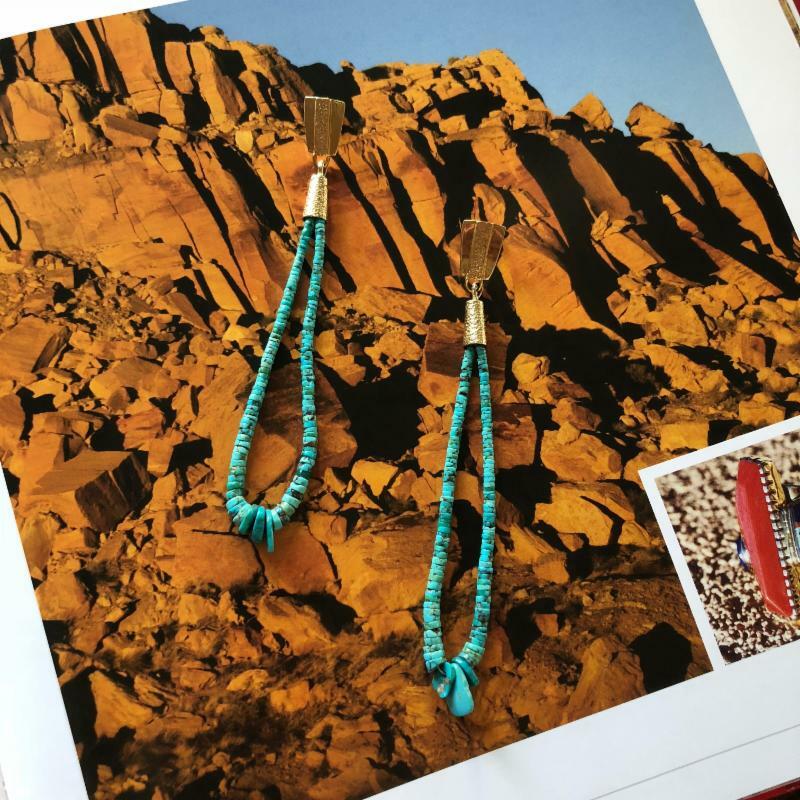 His mantra was to offer stunningly original jewels to his clients, many which had been created in collaboration with emerging Italian artists. From the late 1940s, throughout the 1950s and in to the 1970s, Masenza`s gallery and workshops became the meeting place for artists and collectors, where painters and sculptors such as Franco Cannilla, and the Basadella brothers, Afro and Mirko, (artists amongst what was to become known as the `School of Rome`) could experiment with materials and their imaginations to create highly individualistic artists jewels. Many of the pieces were exhibited at international design exhibitions in Italy, the United Kingdom and the United States. 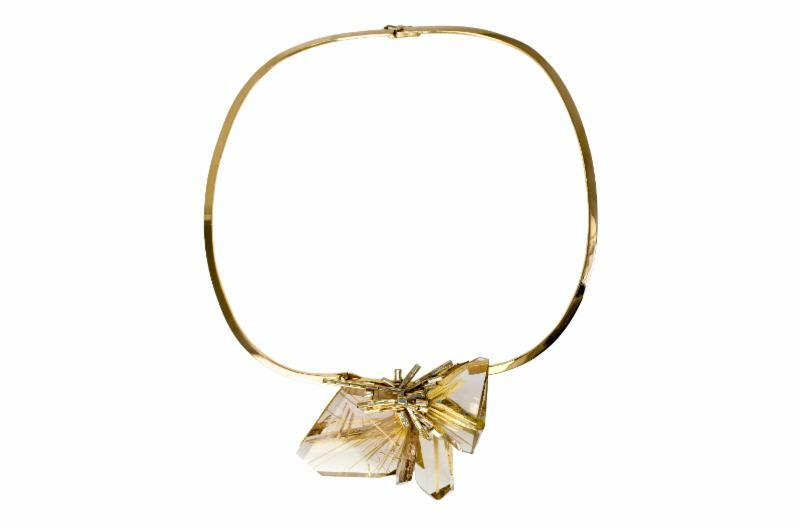 A pear shaped cabochon pink tourmaline, diamond, and 18 karat gold nugget flake necklace with melted piercings, by John Donald, England, 1998 (Exhibited in NYC "London Originals" April 2018). A turquoise and 18 karat gold link necklace, by Angela Cummings for Tiffany & Co., U.S., 1982. A pair of turquoise jacla and 18 karat gold earclips, by Verma Nequetewa, Sonwai, Hopi, U.S.
A turquoise, orange sapphire, diamond, enamel and 18 karat gold ring, by Solange Azagury Partridge, England, 2010, size 7.5. A turquoise, diamond, enamel and 18 karat gold ring, by Donald Claflin for Tiffany & Co., U.S., c. 1970, size 5.5. 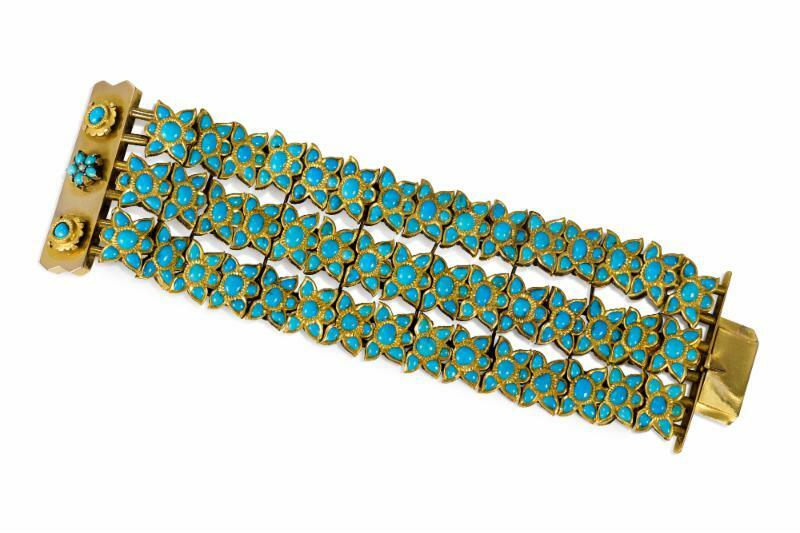 A turquoise, 14 karat gold, and silver gilt floral three strand bracelet, Anglo-Indian Style, 19th century. A pair of baroque pearl, diamond and 18 karat gold earrings, Buccellati, Italy, c. 1960, and a pearl, sapphire, and 18 karat white and yellow gold leaf choker necklace, by Cazzaniga, Italy, c. 1960. A pearl, diamond, and 18 karat gold "Mind d'Oro," brooch by Juwelier Weyersberg, winner of "the most beautiful pearl jewel of the year"at the 4th international competition of the GDE-Jewel-Institute eV, Germany, c.1975. A baroque pearl, diamond, and 18 karat gold ring, by Paolo Spalla, Italy, c. 1960, size 8. A pearl and 18 karat gold cage ring, by René Boivin, France, c.1955, size 6.5. A pair of diamond, pearl and 18 karat gold nugget flake crown design earrings, by John Donald, England, 1996.